Recently I wrote a quick note on some research conducted by Robin Canup and William Ward that suggested that Jupiter "ate" many of the early generations of satellites that formed around it. After some digging, I found the paper these press articles were based on. The two researchers from Southwest Research Institute in Boulder, Colorado wrote a chapter in the upcoming Europa book to be published by the University of Arizona press titled, "The Origin of Europa and the Galilean Satellites." A pre-print is available at arXiv.org. 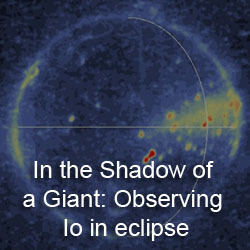 For the last few years, Canup and Ward have modeled the formation of Jupiter and the Galilean satellites. They believe that Jupiter and other gas giants like Saturn for more like stars than terrestrial worlds like Earth. Jupiter formed in a mini-nebula within the fledgling solar nebular 4.5 billion years. This mini-nebula began to spin and slowly collapsed, forming an inner core that would become Jupiter and a disk of gas and dust around its equator. Moons accreted from this disk of material, much like the terrestrial planets accreted in the inner solar system. However, the two had a problem with their model. To form an appropriately sized Jupiter, they required an initial disk of material that contained around 10% of Jupiter's mass. This was reasonable, except the Galilean satellites contain around 2% of Jupiter's mass. Where did the other 8% go? They resolve this by modeling the formation of earlier generations of moons, which formed to a maximum size of Ganymede before it stopped accreting dust. However, these moons would slowly be dragged down toward newborn Jupiter by gas drag within the Jovian nebula. Eventually, these moons would be dragged all the way into Jupiter. The amount of material in the disk could have supported the formation of 20 large satellites, Europa to Ganymede-sized, mostly consisting of rock since the early disk would be too hot to allow for the condensation of water. Eventually, the disk would cool down, allowing water to condense. At the same time, gas inflow from the solar nebula had also stopped. This helps clear out much of the gas in the disk, putting a stop to the inward migration of the satellites at that time. The satellites that survived this cannibalistic stage are the moons we know today as the Galilean moons. They also note a few other implications of their gas accretion model. 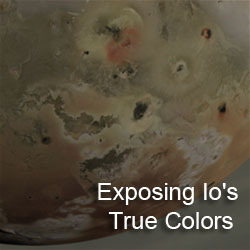 For example, their late formation of the Galilean satellites, about 5 million years after the formation of calcium-aluminum-rich inclusions, is consistent with water-rich Ganymede and Callisto, water-glazed Europa, and nearly water-free Io. 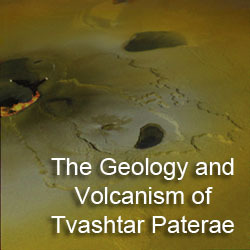 Their long formation times, 100,000 to 1 million years as the result of slower material inflow from the solar nebula, would also support the accretion of water-rich material on the outer moons and most of the accreted material would have come in the form of small impactors, in the range of 1 km across. Finally, the migration of Jupiter satellites, particularly Ganymede, during their formation could have led to the development of the Laplace resonance that has led to tidal heating on Io and Europa. It should be noted that this process may have also occurred at Saturn, though only one large moon seems to have survived, with many smaller moons left behind as well. 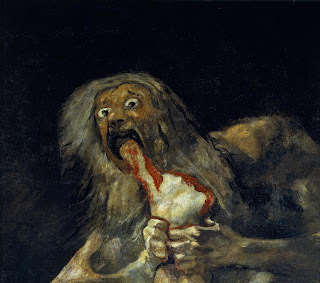 So yes, Goya's painting, "Saturn Devouring his Son" is appropriate here. The mass of the Galilean satellites is not 2%, but 0.02% of Jupiter's mass.